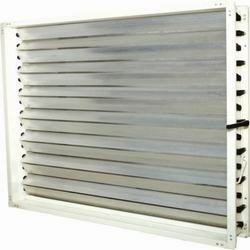 Prominent & Leading OEM Manufacturer from Coimbatore, we offer aluminium aerofoil damper and aluminum dampers. We specialize in providing Aluminium Aerofoil Damper that are available in various sizes, dimensions and finishes. These are manufactured using high grade aluminum extrusion profiles. Our range of Aluminum Dampers is provided with aerofoil aluminum extruded blades, abs linking arrangements and outer casing, which is made from heavy gauge GI sheets. All these equipment further helps us in ensuring the smooth operation, thereby suiting the auto control with actuators. We specialize in providing Aluminium Dampers that are available in various sizes, dimensions and finishes. 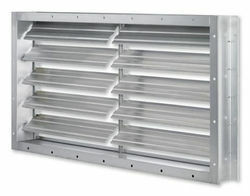 These are manufactured using high grade aluminum extrusion profiles. Our range of Aluminum Dampers is provided with aerofoil aluminum extruded blades, abs linking arrangements and outer casing, which is made from heavy gauge GI sheets. All these equipment further helps us in ensuring the smooth operation, thereby suiting the auto control with actuators.